I am originally from Lebanon but was born and bred in Ghana. I schooled in Faith Montessori throughout my life. I’m the second born of my mother who is a single parent. I’m currently in my first year at Ashesi University and pursuing Computer Science as my major. My personal interests lie in portrait photography (@meusegh on Instagram), painting canvas backdrops (@canvasbackdrops on Instagram), and also robotics. My photography studio was commenced during my gap year after writing A-Levels. This office space was given to me by my father and I converted it to a photography studio over time. The studio is equipped with professional lighting gear that I self-funded from shooting commissioned works. After following works of legends such as Annie Leibovitz, Felix Kunze, Bob Pixel, and Pixslrate, I developed an interest for portrait photography and that also led to me painting my customized canvas backdrops that were later also turned into a business. 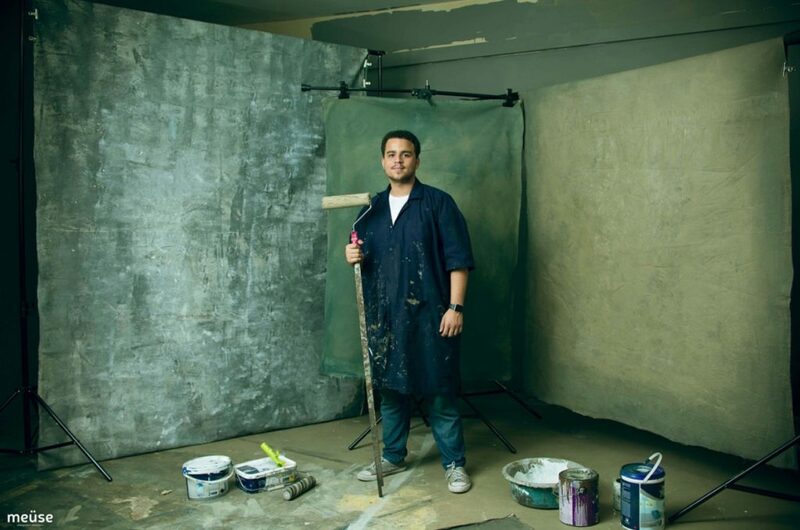 Painting backdrops have led me to meet reputable photographers in Ghana and also in international countries. My brother Mohamed motivated me to study at Ashesi because I realized how much he improved as a person over time due to Ashesi’s training and values that have been instilled in him. It’s exciting to be in the same school with my brother because he’s been my guide and role model for a long time. Even though it is good to learn from experiences, for me, Mohamed is my cheat code, my hack. He lends a listening ear and gives great suggestions; with his help, I have founded a photography start-up. It’s great to have him around here. 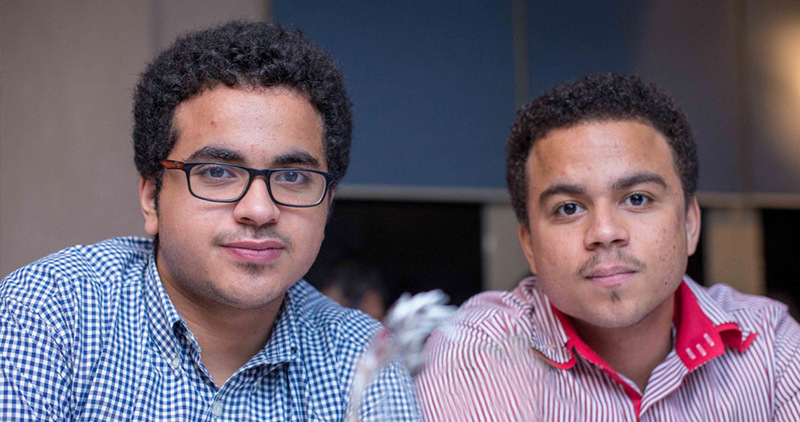 Ashesi is a family affair: Shafic Hijazi ’22 (pictured right) with his brother Mohamed Hijazi ’19. I find Computer Science to be very intriguing. To me, computers have the power to change the world. I say this because almost everything that happens is based on binary. I have loved coding ever since I was introduced to it and this led to me pursuing Computer Science as my major. My long term goal is to merge my interests in Computer Science and photography. Throughout my experience in photography, it occurred to me that the problem was not in taking photographs or capturing the moments; it was in editing these photographs after they were captured. As such, I hope to create a system software that will be able to automatically edit photographs to enable photographers to optimize the time spent during post-processing. This scholarship means everything to me! Ashesi has been my dream school for the longest time and I wouldn’t have been able to pursue my tertiary education at this prestigious institution if it wasn’t from the aid granted to my mother. I am humbled by this opportunity given to me and I would like to say a massive thank you to the donors who made this possible!